“When Brett Kavanaugh dreamed about being sworn in as a Supreme Court justice, he probably didn’t picture dozens of screaming protestors trying to break down the door to the chamber inside. But then, there’s a lot about the last three weeks that the Kavanaughs would have never imagined — or most Americans for that matter. 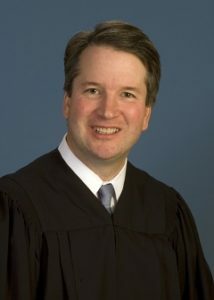 And while no one can turn back time and give him the respectful treatment he deserves, there is some small comfort in knowing that the Left set out to expose Brett Kavanaugh — and revealed themselves instead. Click HERE to continue this article from FRCAction.